Add nature-inspired beauty to your look with this timeless maple leaf charm necklace. A double layer, hand-sawn maple leaf dangles inside a decorative patterned circle. Three colorful wire-wrapped Czech glass teardrop beads in shades of moss green and autumn red drop from the bottom of the circle. 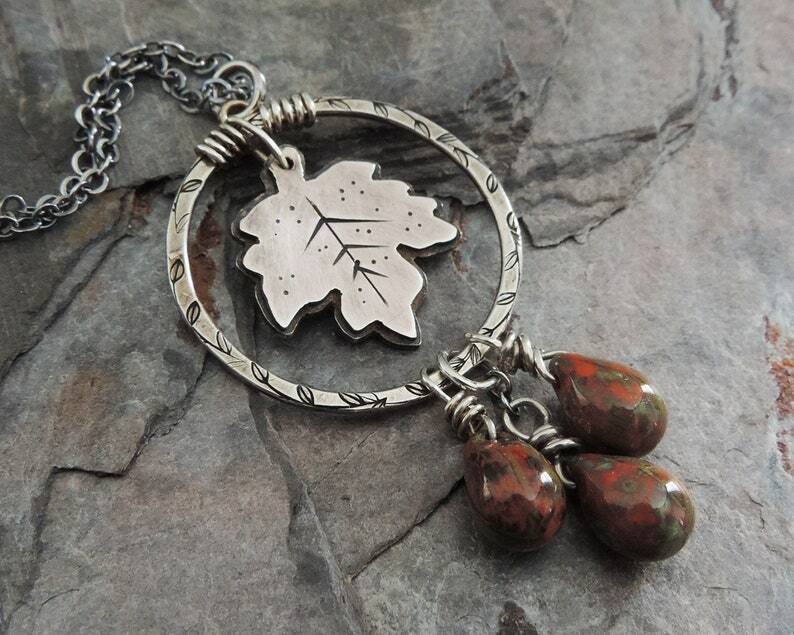 The pendant is suspended from a sterling silver chain or leather cord in the length of your choice (18" shown). It fastens with a spring ring clasp. The decorative ring measures 1" in diameter and the full pendant hangs 1-3/4" from the chain.